Multiple tornadoes are now reported on the ground in the areas under tornado watches. 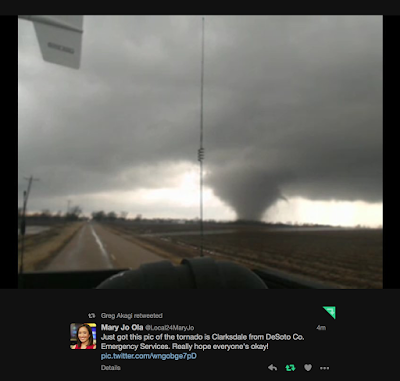 This tornado is northeast of Clarksdale, MS. If you are under a tornado watch, please closely monitor the weather in your area.